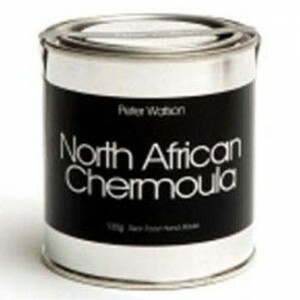 A Middle east condiment for fish and chicken, as a sauce or marinade. 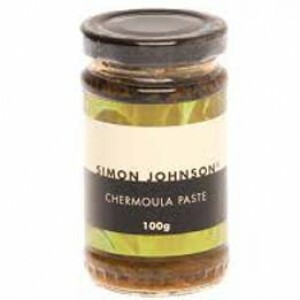 One of the most popular of all Middle Eastern pastes. 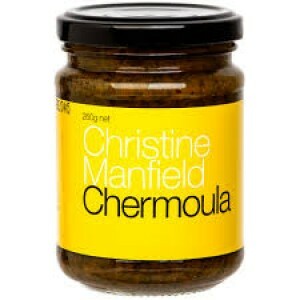 Chermoula is a marinade used in Algerian, Moroccan and Tunisian cooking. It is usually used to flavor fish or seafood, but it can be used on other meats or vegetables. 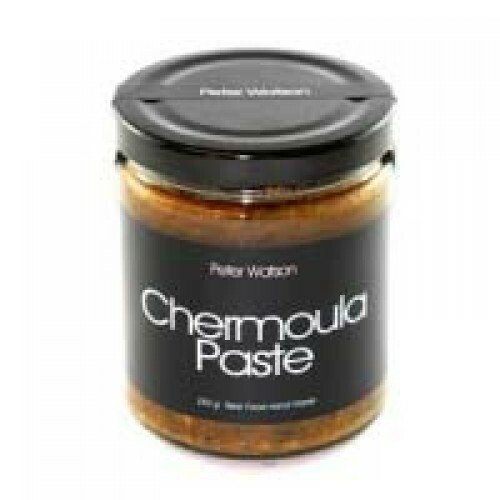 Try Peter Watson's Chermoula Paste on chicken, fish and vegetables. Simply rub on and roast or grill.